NSU Art Museum Fort Lauderdale will present Covered in Time and History: The Films of Ana Mendieta from February 28 through July 3, 2016. 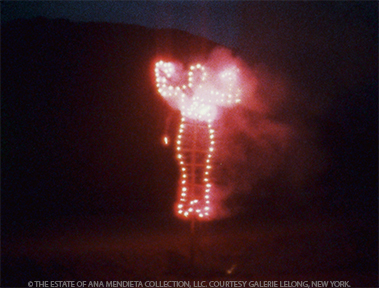 This is the first and largest full-scale museum exhibition in the United States devoted to Ana Mendieta’s filmworks. One of the most influential Cuban-American artists of the post-World War II era, Mendieta’s (1948-1985) synthesis of sculpture, earth art and performance unflinchingly investigated what it means to be human. The exhibition includes 21 films and 26 related photographs and is organized by the Katherine E. Nash Gallery, University of Minnesota and curated by Lynn Lukkas, Chair of the Department of Art, and Howard Oransky, Director of the Katherine E. Nash Gallery. It underscores NSU Art Museum Fort Lauderdale’s emphasis on experimental postwar art and contemporary Cuban art. 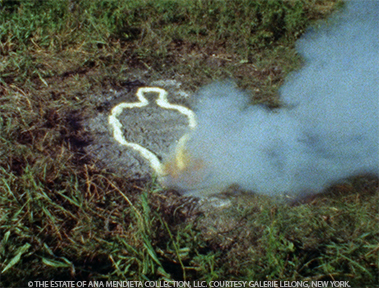 Ana Mendieta is widely regarded as among the most original and talented artists of the post-war era. 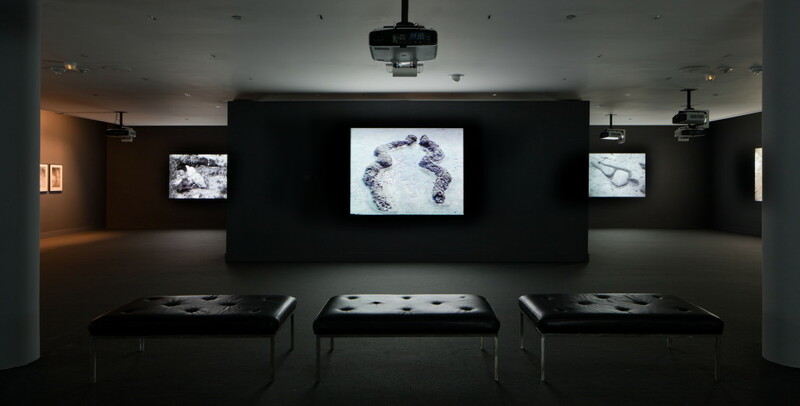 During her brief career, from 1971 to 1985, Mendieta produced a stunning body of work that included drawings, installations, performance, photographs, and sculptures. Less well known is her remarkable and prolific production of films and videos. Covered in Time and History: The Films of Ana Mendieta locates Mendieta’s moving image works at the center of her artistic oeuvre and with new research documents her prolific and varied use of the filmic medium, making clear her place as one of the key figures in the multidisciplinary visual arts practice that included filmworks and characterized the historic shifts in 1970s art. “NSU Art Museum is honored to present this exhibition that complements the Museum’s strong concentration of Cuban contemporary artists. 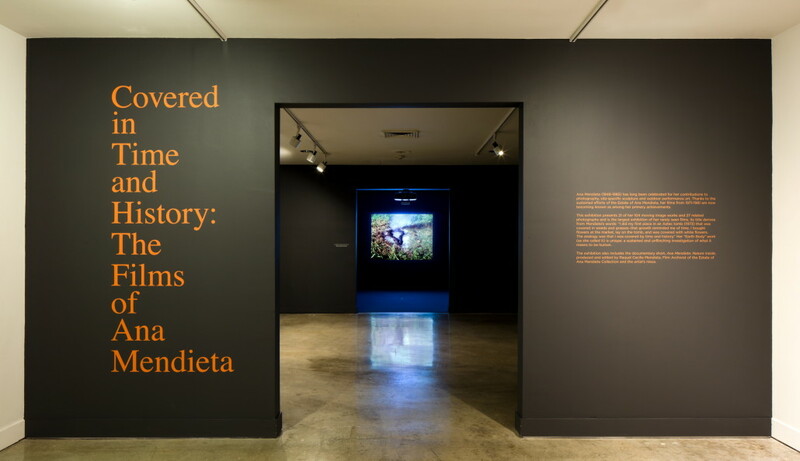 Mendieta is one of the most important and influential early performance artists and this exhibition brings new insight into a previously under represented aspect of her work in film”, said Bonnie Clearwater, Director and Chief Curator at NSU Art Museum Fort Lauderdale. Ana Mendieta was born in Havana, Cuba in 1948 and was sent to the United States in 1961 at the age of 12 as part of Operation Peter Pan, an initiative of the U.S. government and the Catholic charities that brought 14,000 Cuban children to Miami during the years 1960-1962. Mendieta was moved from Miami to Iowa where she lived in several foster homes, then attended the University of Iowa where she received undergraduate and graduate degrees in studio and intermedia art. 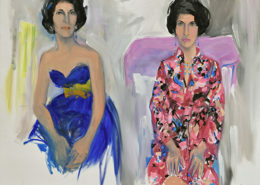 In 1978 she moved to New York and joined A.I.R., the first gallery of women artists, established in 1972. She received grants from the New York State Council on the Arts, the New York Foundation for the Arts, the National Endowment for the Arts, the John Simon Guggenheim Foundation, and was recipient of the Rome Prize from the American Academy in Rome. Mendieta was a highly disciplined and unusually prolific artist; in her brief career she produced many important artworks in Cuba, Europe, Mexico and the United States. 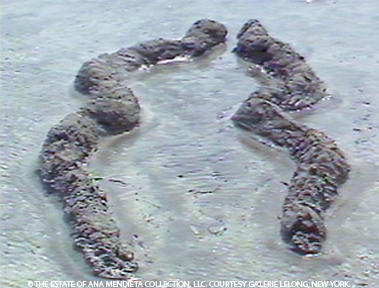 Ana Mendieta’s particular merging of sculpture, earth art and performance (earth-body, as she termed it) stands as a unique and singular artistic expression. Her work crossed many borders including artistic and time-based disciplines; geographical and political boundaries; and the investigations of history, gender and culture. The artist’s personal biography encompasses the existential dilemmas of the modern era: the experience of personal, cultural and political displacement; the loss of connection and continuity with one’s individual and collective past; the pressure to conform and assimilate in a foreign environment, language and value system. Mendieta’s work encompasses the persistent dialogue with history and yearning for wholeness that is at the heart of human culture. 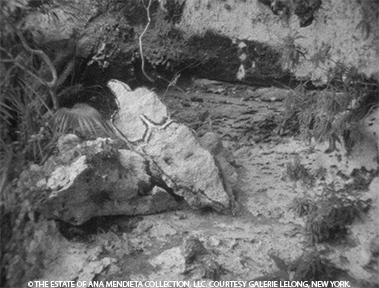 Ana Mendieta was influenced by and interested in the artistic movements of her time, including Minimalism, earth art, performance art, and feminist art as well as the historical and spiritual legacies of many cultures, ancient and modern. 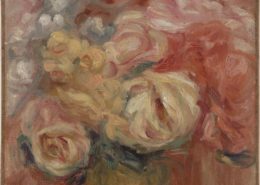 She drew from each of these influences but ultimately it is the unique, original, and surprising inventiveness of her work that sets it apart and has characterized her continued relevance for subsequent generations. 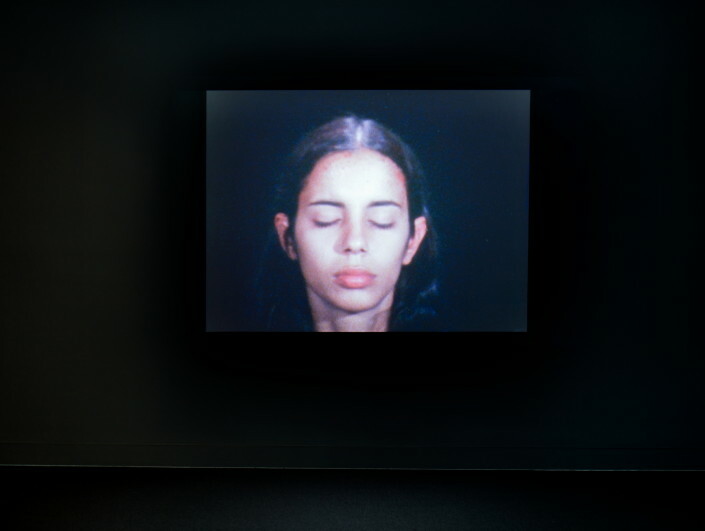 During the years 1971-1981 Ana Mendieta created 104 moving image artworks. 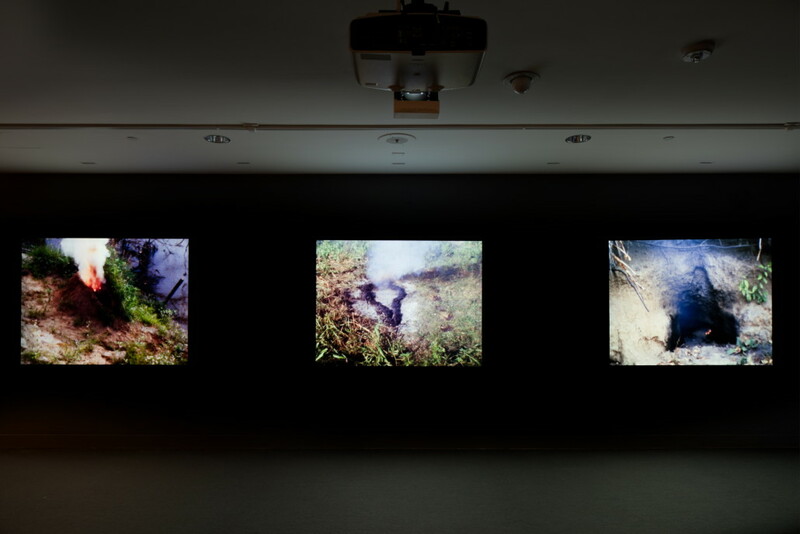 Covered in Time and History: The Films of Ana Mendieta includes the 21 following films and 26 related photographs by Mendieta, along with the documentary short Ana Mendieta: Nature Inside produced and edited by Raquel Cecilia Mendieta, Archivist of the Estate of Ana Mendieta Collection and the artist’s niece. 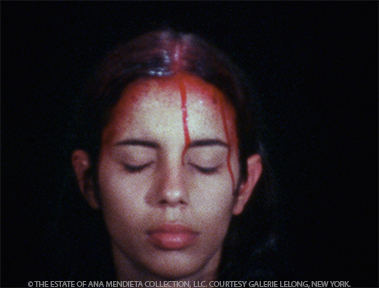 Ana Mendieta made the films Moffitt Building Piece and Sweating Blood in response to the sexual assault and murder of University of Iowa student Sarah Ann Ottens in 1973. These silent films speak out against that crime with the language of art unfolding through the temporal structure of film. The exhibition includes the two films in which the artist is seen writing out declarative statements by hand — Blood Writing and Blood Sign were both made in 1974. During the 1970s Mendieta travelled to Mexico nearly every summer, where she made many important artworks. The exhibition includes Creek, Silueta del Laberinto (Laberinth Blood Imprint), and Burial Pyramid, all made in Mexico in the summer of 1974. 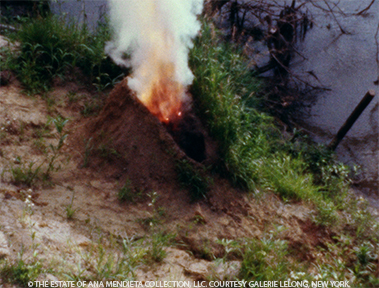 In these films Mendieta established her unique earth-body esthetic, merging her body with the earth through an exploration of history and memory. Also from 1974, the film Mirage symbolically tells the story of Mendieta’s separation from her family and home in Cuba through a dual narrative of the mother/daughter relationship. The exhibition includes two films from 1975: Blood Inside Outside and Energy Charge. The first is an astonishing psychological investigation of autonomy and vulnerability, rendered with unflinching honesty. 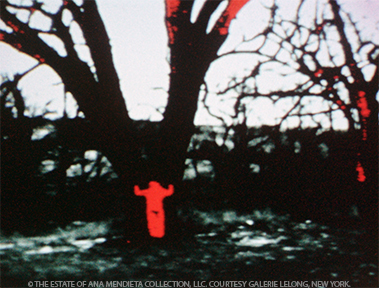 Energy Charge uses the technology of filmmaking to establish the ancient mythological tree of life theme in Mendieta’s oeuvre. Anima, Silueta de Cohetes (Firework Piece) was made in Oaxaca, Mexico in the summer of 1976. This stunningly beautiful film is a poetic metaphor on the passage of time and physicality. Mendieta’s artistic practice included use of the four classical elements: earth, water, air, and fire to evoke layers of history and meaning in the work. Untitled: Silueta Series, 1978 further explores the tree of life theme through a burning tree from which glowing hands magically appear. Silueta de Arena, from the same year, finds the sublime edge of memory and experience where the surfaces of sand and water meet. Also from 1978, Untitled: Silueta Series brings together Mendieta’s interests in the ritualistic aspect of artmaking and transformation of the earth into sacred space. 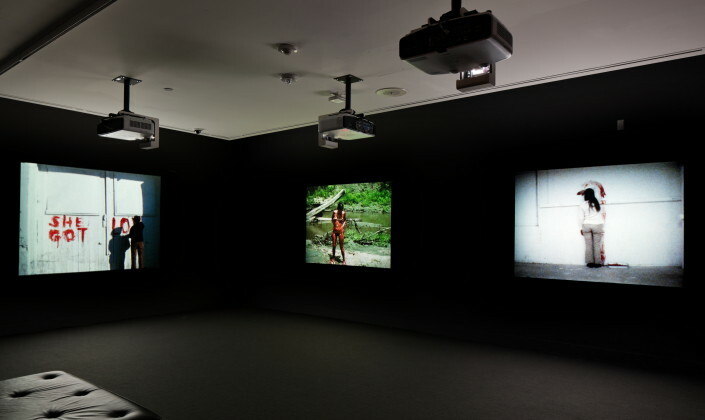 The exhibition includes three films from 1979. In Volcán the artist used the form of the volcano as a metaphor of the earth as a site of both solace and disaggregation. Untitled: Silueta Series takes place at the opening of a small cavelike structure that Mendieta carved into her Silueta shape, anticipating her epic Rupestrian Sculptures made in Cuba three years later. The next 1979 Untitled: Silueta Series film in the exhibition is thematically related to Blood Inside Outside. The burning Silueta shape in this film exists as a fully abstracted idea that is part human, part earth, and part tree. Birth (Gunpowder Works), from 1981, is a wonderfully graphic film in which the dried, cracked mud and raking light of the Iowa landscape gives birth to a dream of artistic magic and power. The last three filmworks in the exhibition, all made in 1981, can be seen as a trilogy on the relationship of displacement, return and reconciliation. Esculturas Rupestres (Rupestrian Sculptures) is Mendieta’s epic cycle of sculptures carved into the limestone walls at the Cuevas de Jaruco, La Habana, Cuba and interpreted through this film. A journey through real and metaphorical time, Esculturas Rupestres (Rupestrian Sculptures) marks Mendieta’s return to Cuba and her connection to the ancient myths of the caves at Jaruco. Untitled takes place at the beaches of Guanabo, La Habana, Cuba. The film tells the story of longing for homeland, the stretched-out time of separation. Ochún was made as a video off the coast of Key Biscayne, Florida. The Silueta figure in this work points toward Cuba, the water between Florida and Cuba rippling through its form. Named after a Santería goddess, Ochún transforms the pain of separation into a restrained poem of color, light, movement and sound. Covered in Time and History: The Films of Ana Mendieta is organized by the Katherine E. Nash Gallery at the University of Minnesota and is made possible in part by the Office of the Dean of the College of Liberal Arts at the University of Minnesota, the National Endowment for the Arts, a gift of Agnes Gund, a gift of the Harlan Boss Foundation for the Arts, the Epson Corporation and the Tierney Brothers Corporation. Exhibition support provided by Hudson Family Foundation, Scott and Holly Bodenweber, and Artes Miami Inc. Exhibitions and programs at NSU Art Museum Fort Lauderdale are made possible in part by a challenge grant from the David and Francie Horvitz Family Foundation. 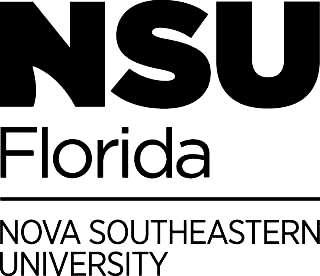 Funding is also provided by Nova Southeastern University, Broward County Board of County Commissioners as recommended by the Broward Cultural Council and Greater Fort Lauderdale Convention & Visitors Bureau, the State of Florida, Department of State, Division of Cultural Affairs and the Florida Council on Arts and Culture. NSU Art Museum is accredited by the American Alliance of Museums.